I am ashamed to admit that this is my first ever blog, especially as I was the first student to go to Morocco. I am not a technophobe and I don’t have any excuses….well, except for the fact that I have been writing up my PhD! Chris, Sandra, Laëtitia and many others have all done a fantastic job at keeping you up to date with the life of a field researcher. Indeed, after being there for 22 months myself (before the birth of this website) I have shared in many similar adventures and excitements. I have been ‘encouraged’ to add a blog for some time now but have found it difficult to come up with something to share with you all (especially in light of all the other interesting blogs that have been posted). Since leaving the field in 2009, I have been inundated with data management, analysis and chapter writing. I never considered posting a photo of me sitting at my desk with an excel file open because this was unlikely to attract many hits to the site! By reading the other posts on this blog, you can see that working in the field can be an incredibly challenging but also rewarding job. 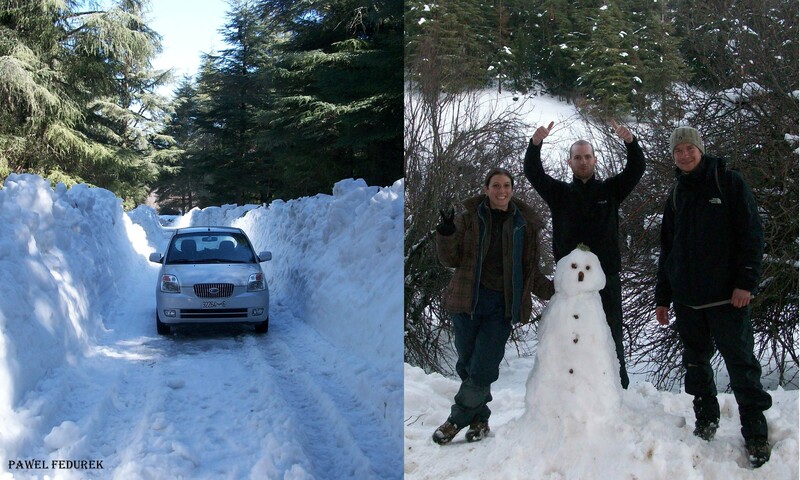 And as I’m sure most people will tell you, when you talk to me about the field I never fail to mention how much more difficult it was for my research team during the winter of 2008/2009 🙂 . This winter was apparently the worst in years, and we had to struggle to collect data during extreme snow conditions that lasted from November to March. Despite this, I had a fantastic time during my two years in the field. However, unfortunately, all good things come to an end! This is not to say that the only fun to be had during a Ph.D is in the field. Depending on what you consider fun that is. Life beyond the field brings the opportunity to analyse the hours of data collected in the field. In danger of sounding geeky, there are few things more rewarding than running your analysis to find you have the p value you hoped for/predicted. And from interesting results comes the sharing of your results with your peers. Papers and presentations! I have been fortunate enough to present some of the results of my Ph.D research at the PSGB conference in Liverpool, UK, and the EFP conference in Almada, Portugal. Moreover, I am now in the process of getting some of these findings published (see the updated Publications tab). Finally, on Tuesday I had my Ph.D viva. 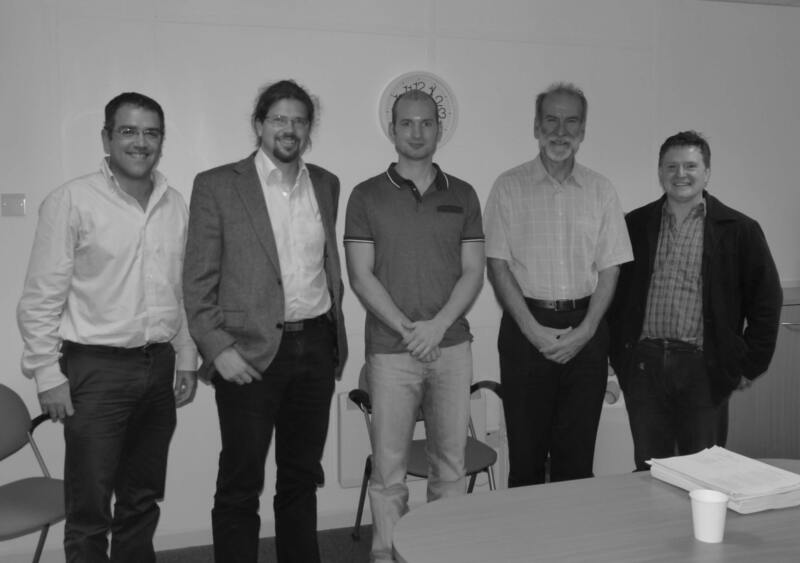 We invited Professor Thomas Bugnyar (University of Vienna) and Professor Jon Slack (University of Lincoln) as my external and internal examiners respectively. I am pleased to announce that I passed my viva with minor revision. After three and half years working on my PhD, with two highly enjoyable years in the field, the end is now in sight. This would not have been possible without the help of so many people. Most of all I would like to take this opportunity to thank Bino Majolo for supporting and supervising my research, and presenting me with the fantastic opportunity to work with the Barbary macaques in Morocco. Also, it would not have been possible (or as enjoyable) without the research assistance and support in the field of Chris Young, Laëtitia Maréchal, Pawel Fedurek and Paolo Piedimonte. Thank you!